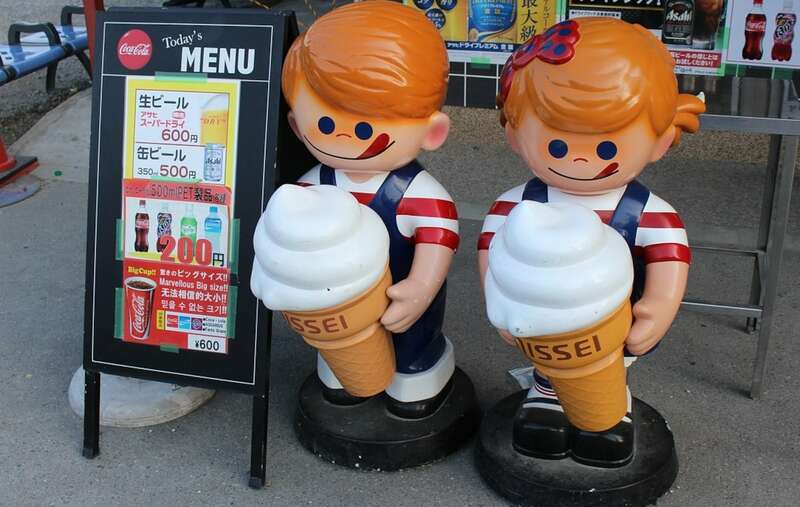 Nothing says "summer" in Japan like popping down to the closest konbini or supermarket to pick up a frozen treat—and perhaps bask in the arctic air conditioning. Cheap and cheerful, these long-standing local favorites can be found at almost any convenience store or supermarket around Japan. First released in 1981, Gari Gari Kun popsicles take their name from the crunchy sound you make when eating them, as gari-gari is an onomatopoeia for crunching. 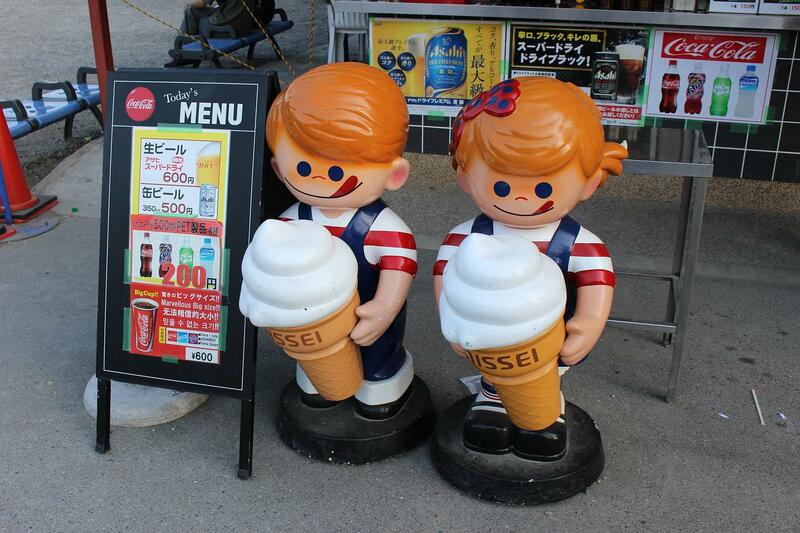 The most common flavor is soda, which is simple, sweet and somehow nostalgic even for those who didn't grow up in Japan. However, the creative geniuses behind this iconic ice candy routinely release new, exciting—and sometimes truly weird—flavors which often take the Japanese blogosphere by storm. Besides relatively normal (and tasty) flavors like kiwi, mint chocolate, Kyushu mikan mandarin and peach, you should also be on the lookout for occasional oddities like corn soup, pasta sauce or cream puff-flavored Gari Gari Kun bars. Available in practically any major convenience store or supermarket, this is a sweet treat that is light on the wallet, as one bar only costs ¥70 (around 65¢) for regular flavors, and around ¥130 (US$1.20) for seasonal or limited-edition popsicles! This adorable popsicle looks exactly like a slice of watermelon, including edible chocolate "seeds" for a full fruity experience. It is available both as a single bar and in value packs, which often also include refreshing melon bars with white chocolate chips. In Japan there are debates every summer about which is tastier: zesty watermelon or the creamier melon? We guess you will just have to try both and find out for yourself! A summer staple since its release in 1986, this cooling treat usually costs ¥108 (around 99¢) for an individual Big Suika Bar, or ¥200 to ¥300 for a box of six. Each packet holds twelve perfectly round pearls of gelato-style ice cream, a great option for sweets fiends who don't like sticky hands or don't mind sharing. Flavors rotate seasonally, varying from smooth chocolate to fresh mango. During the summer you should usually be able to find the intense grape, peach and melon flavors for sale in any large convenience store for around ¥126 (about US$1.15) each. The grape flavor boasts a surprisingly high fruit content (80% according to the manufacturer Glico), so we think it totally counts as a serving of fruit, right? The most venerable summer treat on the list, this red bean-packed ice cream bar has been attracting fans—and confusing non-Japanese visitors—since 1963. According to the manufacturer Imuraya, each bar contains at least 100 individual azuki beans, making it a surprisingly protein-rich treat. The bars also happen to be vegan, as they only contain sugar, beans, cornstarch and salt. You can find them in almost any freezer section for a reasonable ¥105 (around US$1) per bar, or in multipacks. The name of this creamy concoction means "polar bear" in Japanese, and is easily recognizable by the cute character of its namesake. Originally invented in Kagoshima, in the southern island of Kyushu, it gained national acclaim and quickly became a household name. The classic version offers a perfect balance between Japanese and Western-style flavors. Once you pop the top you will find a base of vanilla ice cream, topped with frozen peach and mandarin orange slices, sweetened red beans, pineapple and a wonderfully retro maraschino cherry, all drenched in condensed milk. Strawberry and milkshake-flavored varieties are also popular, and during the summer there are tropical editions too. If you don't want to mess around with spoons, a bar version is also available. Treat yourself to this only-in-Japan frozen sweet for just ¥172 (US$1.60). I focus on simple pleasures, the road less traveled and hiking around Japan.